The official Starbucks notification is here. 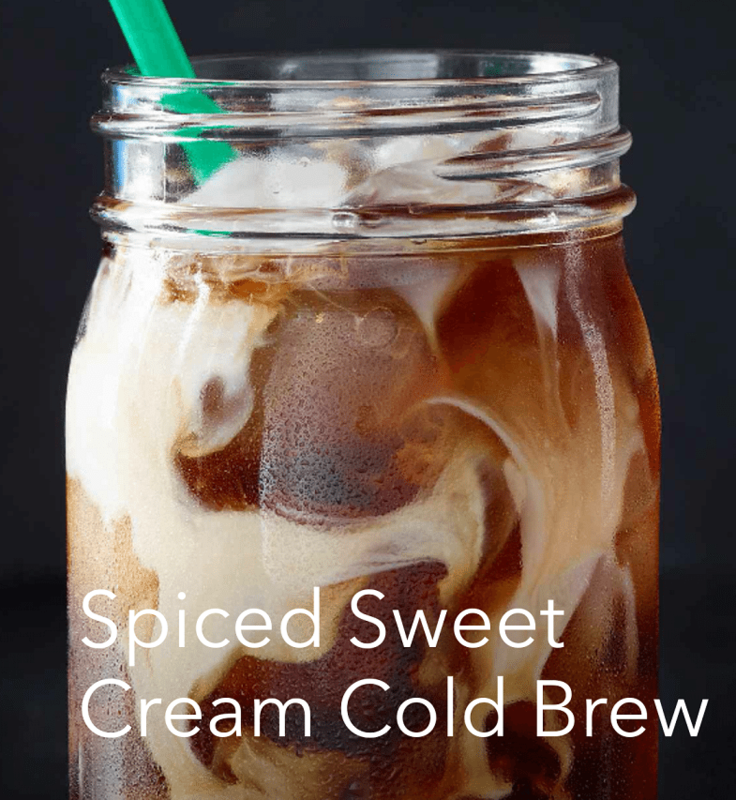 The Starbucks Spiced Sweet Cream Cold Brew is a delicious, cold, subtle spice and sweet coffee drink. I think this is a noticeably very sweet drink – you might even want to ask for it with fewer pumps of the spiced syrup sweetener. Starbucks Rewards members are receiving emails, notifying them of early access to this new drink. 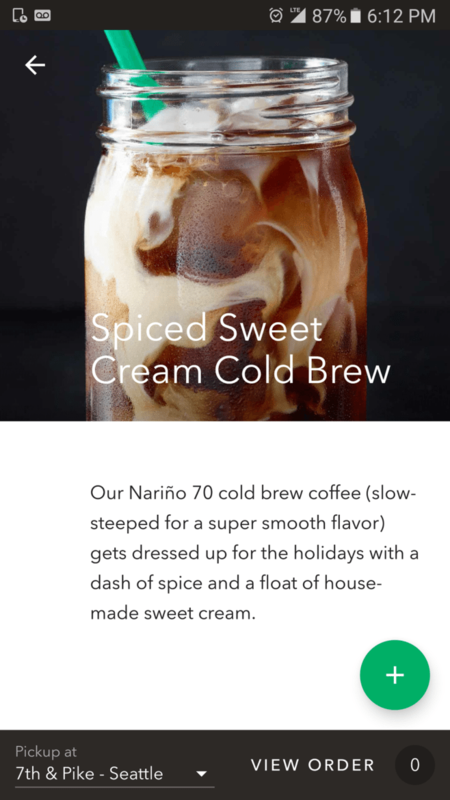 Of course, once it’s out, it’s out – it won’t be advertised until later in November, but if you ask for the Spiced Sweet Cream Cold Brew, the answer should be an easy ‘yes’ – it’s on the app, the syrup is in stores, and stores should want the sales! You definitely can pick up the hints of cinnamon, vanilla, and spice in it. While it is a new holiday beverage, it’s a cold drink. Don’t expect it to come in a red or green cup. Cold brew is a slow-steeped coffee, made without heat. You can make cold brew at home easily with just a big pitcher, a great Starbucks coffee, filtered water, and a sock: The Cold Brew Coffee Sock. Officially, this beverage launches later this month. I like this new drink! Hope you get to try it soon! Buy one get one free on Starbucks holiday drinks! Mark your calendars: November 10th through 14th. Cold Brew Malt and Float: The Roastery Gets Its First Blended Shake and a Summer Drink Menu. Starbucks pictures: New York, Canada, Hong Kong. I just had one this morning and it’s my new favorite drink. The spice blend is really delicious. I may add a shot of espresso next time. 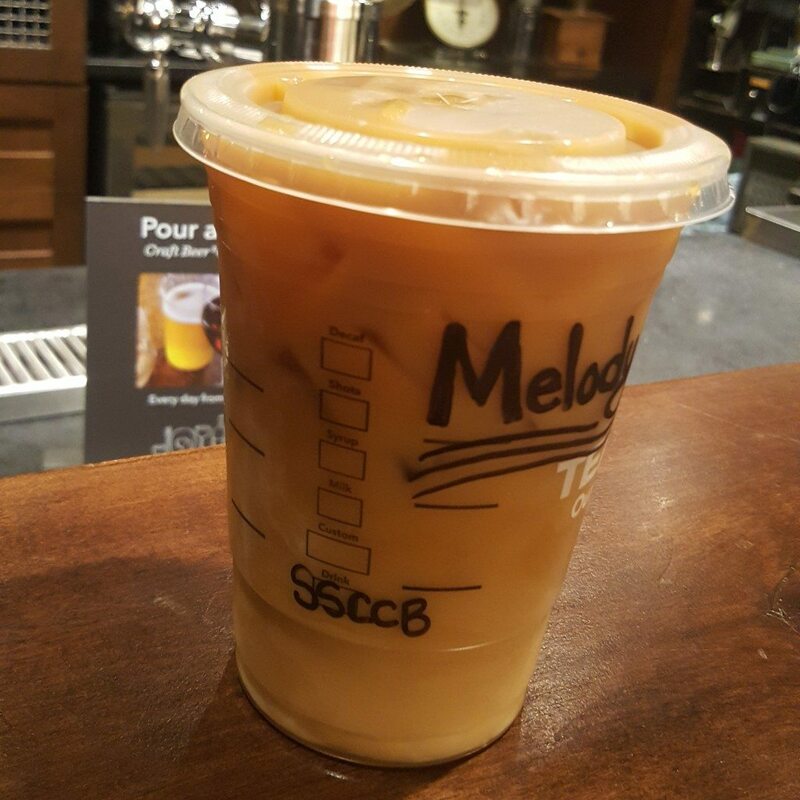 Melody, any news on whether the Holiday Spice Flat White will be available this year? It was seriously myfavorite drink ever. 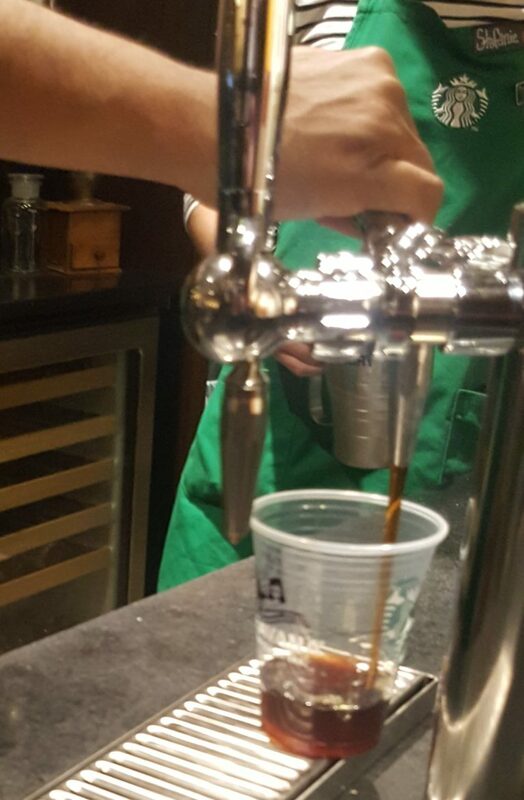 In some news I saw they mentioned that this cold brew is “this year’s” holiday drink, like the HSFW was for 2015. I hope that doesn’t mean it’s not coming back! @Ann Miner – Thank you for the comment! I’m surprised how much I like this one too. @Chris – Funny, I was just thinking about the Holiday Spice Flat White. I believe it returns to Starbucks on the 10th. Chris, the HSFW is listed on the Canadian menu, maybe coming to the States soon? I went to three Starbucks in San Francisco and none of them had it. When I contacted Starbucks Customer Service, they said that it was not available until November 10, contrary to media relations and emails. The second one just said no, even though I had the email right there. The third one was like we got the regular but no spices. It was a very disappointing launch because I was not able to get 20 bonus stars. I was able to get it at 2165 Polk Street but they had to use nitro. I tried contacting Starbucks Customer Service and they insisted that it was not launching until November 10 telling me that I was wrong for asking for it and then complaining that it wasn’t available. However, there was an email sent out on November 3 and a press release stating that it was available early. Yes, that’s crazy. I ordered the Spiced Sweet Cream Cold Brew on my phone. Me: is it the Spiced version? I also wanted to mention that it’s not super sweet, not like Pumpkin Spice. Maybe these are the same spices that are in the Holiday Spice Flat White? I liked it, too, last year. I love the Spiced Sweet Cream Cold Brew! But why not just put half & half instead of heavy cream and 2%? I did not find it too sweet @ all. It’s much better than the Sweet Vanilla Cream Cold Brew. But then I never did get one of those I liked. The several I tried tasted weak and not very sweet so finally quit trying ’em 🙁 Tasted just like ice-melted Iced Coffee… ugh, the worst. BTW: I was told the BOGO was for Lattes only – def gonna get a HSFW tomorrow, my personal fav!!! ??? Does anyone know what spice combos are in the HSFW ? @starbuxgal – the HSFW spice blend is officially described as “ground sugar, cinnamon, ginger, nutmeg, clove, and tangerine sugar” whereas the mulling spice syrup is described as “the flavors of cinnamon, anise, nutmeg and vanilla”. Finally got a chance to try the Spiced Cold Brew yesterday. That is a delicious drink. Got a Tall since I wasn’t sure I’d like it and definitely wished I’d ordered a Grande instead. I do love holiday to go cups so missed that, but the drink is worth it.